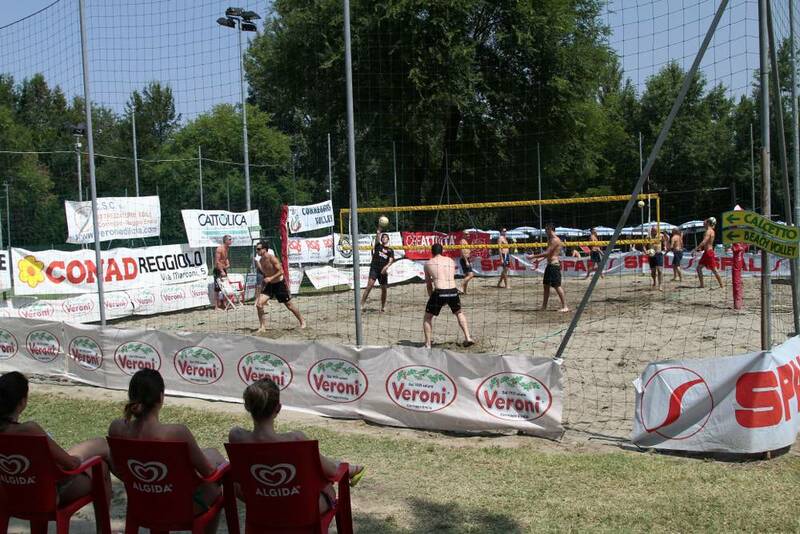 It all started in Correggio, a provincial town in the heart of Emilia. It is a delightful area where the people are healthy, the land is good and the air is invigorating. It is famous in many parts of the world as the home of Don Camillo and Peppone. It all started here. It was the start of a magnificent, stirring tale that has made us strong. Our glorious, inspirational past allows us to look to the future. 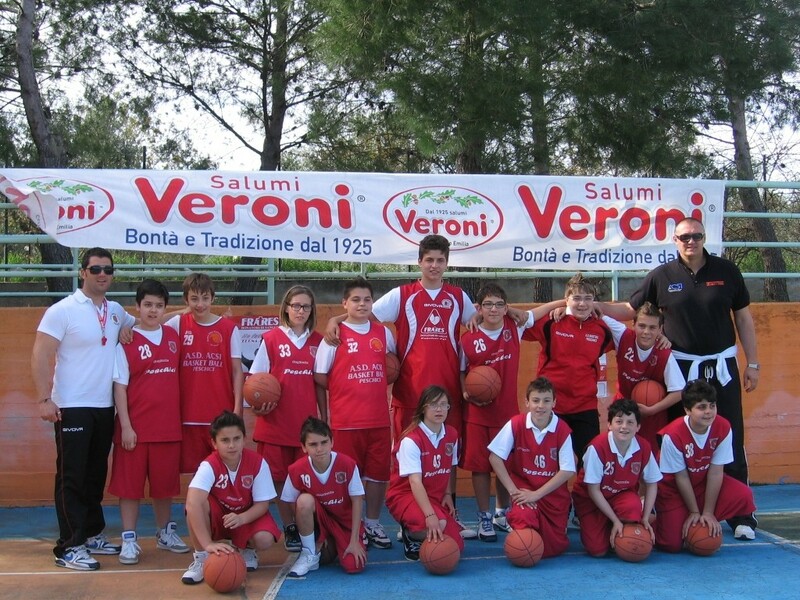 It was the start of the tale of the Veroni family. It was the start of the tale of Veroni cured meat. It was the start of an enchanting, magical story that we want to tell you. All the same, it was a tough, heartrending time filled with memories of the tragedy of war and the loss of lots of our friends, relatives, brothers, mothers and children. It was the period after the First World War and people were keen to get back on their feet everywhere, including in Correggio. People wanted to start savouring and enjoying their lives again: real, healthy lives filled with joy and hopes for recovery and the future. The Veroni family were among these people. The story has magical beginnings in a little food shop that the family opened. 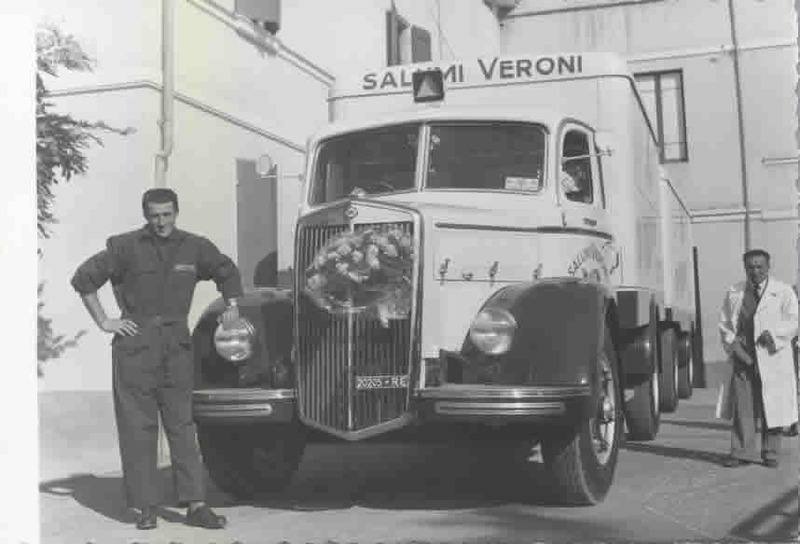 Although it was many years ago, the Veroni family still feel a close connection with it today. It was at the heart of family life. As was normal at the time, everyone in the town did their shopping in the store. Everybody knew each other, so you could trust everyone and they could trust you. 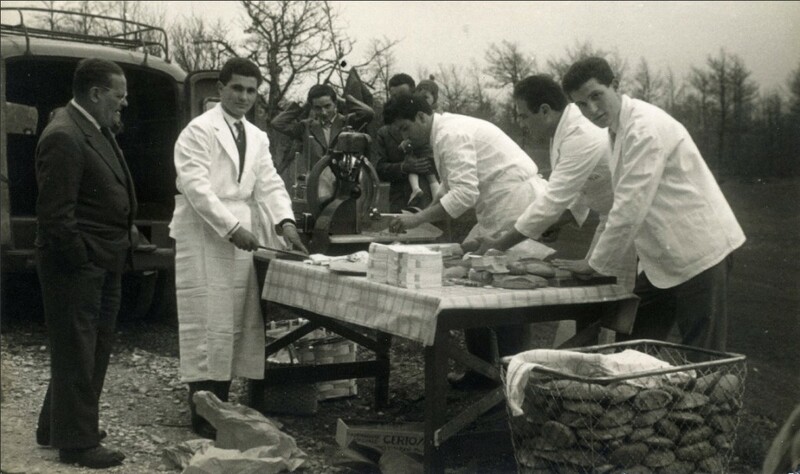 Fiorentino, Francesco, Paolo, Adolfo and Ugo Veroni only sold the very best products: mortadella, dry-cured ham, salami and coppa, all skilfully made with their expert hands. Their personal touch, ties with the local people and love for the place where they lived were plain to see every day. They were wholesome people in a wholesome land. 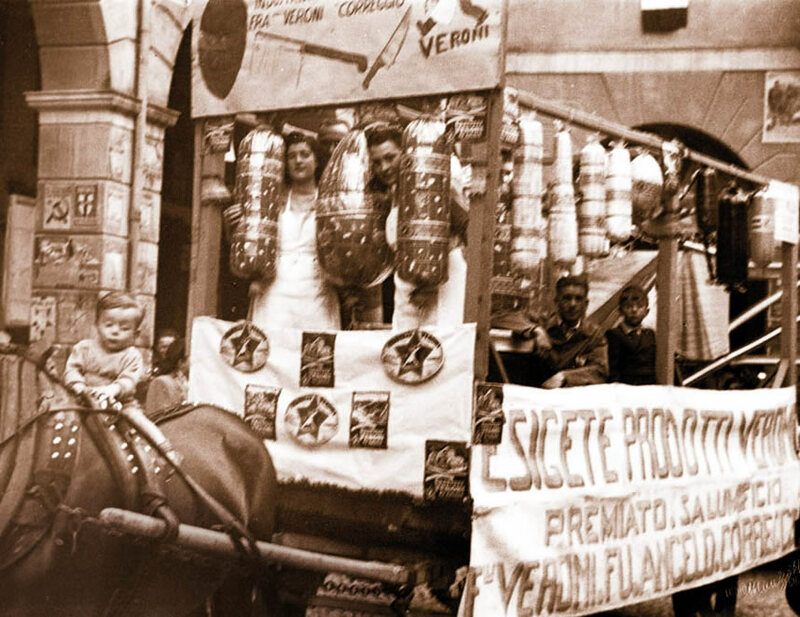 They would greet people with a “Good morning”, treat children to small chunks of mortadella and help out poor people, downplaying their beneficence and simply showing the love that has always driven the Veroni family. The passion and knowledge of their forebears lived on within them and there was no way that they would or could alter their destiny. 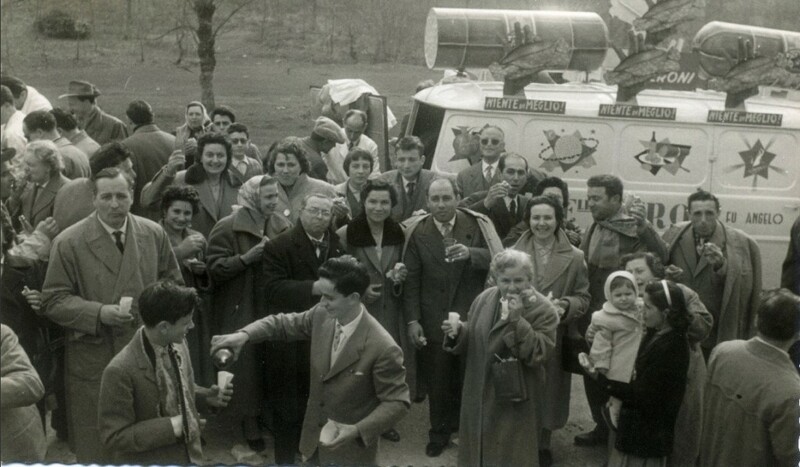 Thanks to the quintessential local strength and determination, their passion, and the unity of a solid, healthy family, the Veroni family managed to bring a little joy back into life, thus helping people to move on from the terrible times of the recent past. The secret lay in their love for family, work, people and Veroni products. One evening back in 1925, the brothers gathered around a table in their little food shop in the old town centre. Fiorentino, Francesco, Paolo, Adolfo and Ugo Veroni had come together to make a big decision about something very important. It was one of those decisions that can change your life. As always, they were all together. They had to make plans for the future for themselves and everyone else. Fiorentino, Francesco, Paolo, Adolfo and Ugo discussed the matter for a long time. One of them was hesitant, another was very keen and another still was almost over exuberant. 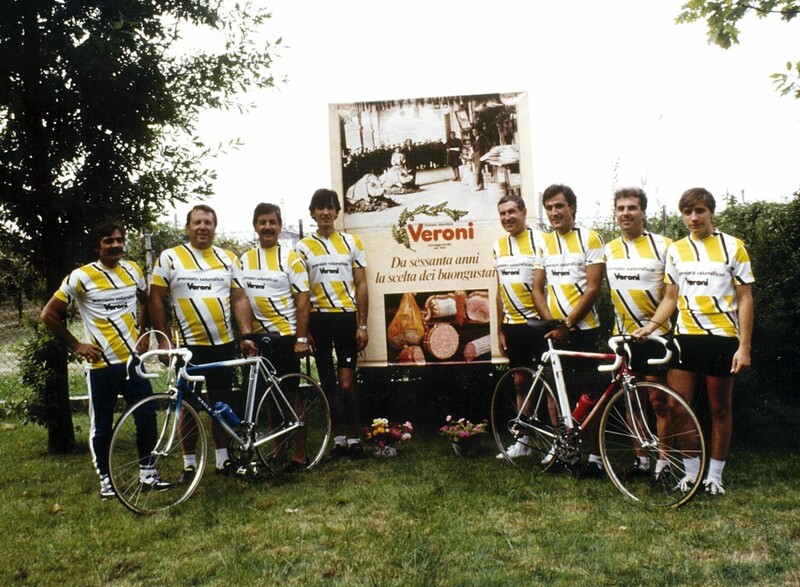 In the end, the Veroni brothers made their decision and went into business. The strength and love that always emerge after hard times filled the brothers with energy, which they poured into their company. 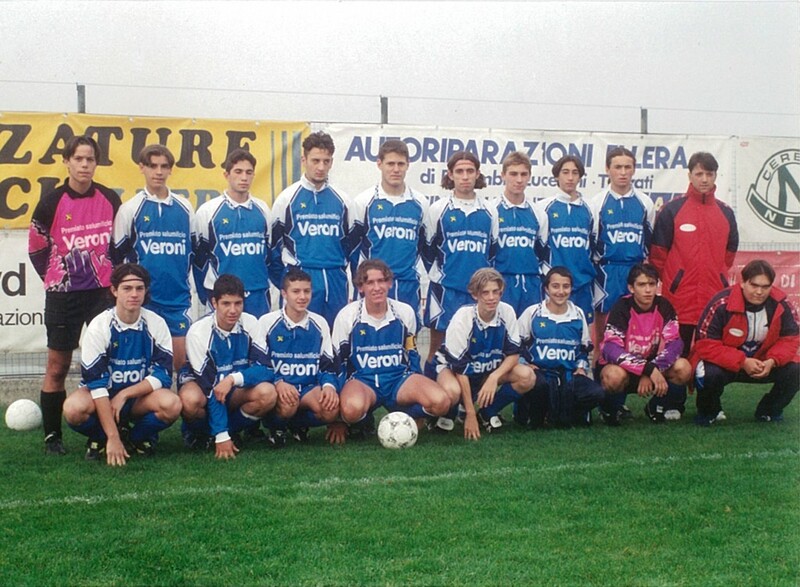 It was officially founded in 1925 and they named it “Fratelli Veroni”, which is Italian for “Veroni Brothers”. The venture was underway and everybody played their part with great enthusiasm and dedication, including their wives and children. 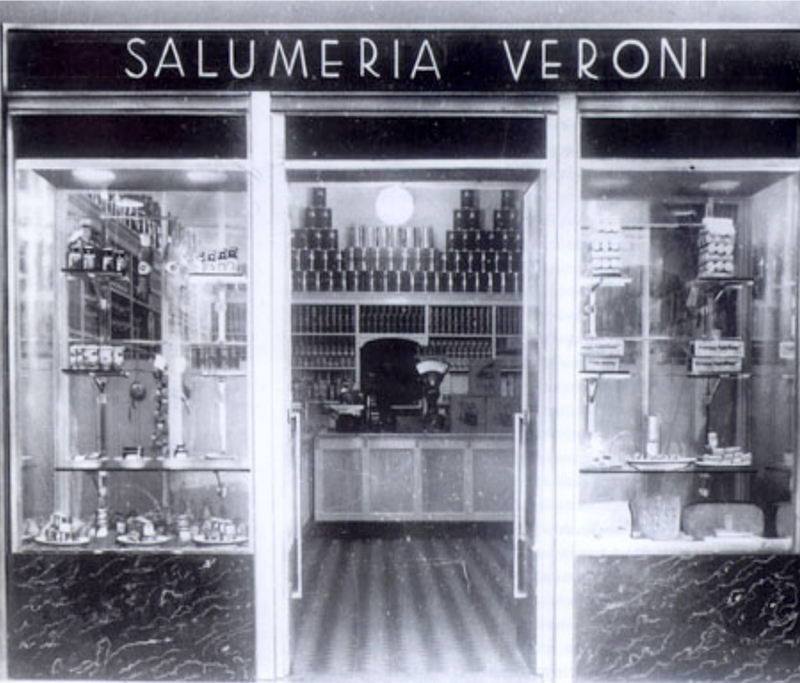 Thus began the story of the company that is now known as “Fratelli Veroni fu Angelo SpA”. The intrepid little group from Correggio took everything in their stride. Nothing could faze them, not even when Paolo fell over and broke his foot, when there were complications during young Francesco’s birth, or when Correggio was left devastated by terrible weather. Problems, happiness, work and success have always been shared by every single member of the family. Occasionally they fall out about personal issues, but sharing everything helps to promote healthy family ties and contributes to the quality of their products, which is at the heart of everything that they do. It is all about flavours and traditions. Everything is open for discussion in the Veroni family, from doing without a department head to missing a shift at work, but the importance of production quality is never questioned. It is a crucial factor in preserving the flavours that have been handed down for over a century, since before Fratelli Veroni was even founded. The secret of the family lies in the everyday values of upright people: the people that trust you and that you can trust. These values have been passed on from parents to their children like a family secret and they still survive today. The magical tale of the Veroni brothers shows that nothing is more important than a close-knit family and that we can learn everything from our families, including values, skills and drive. However, the story took a rather unusual, distinctive turn. Of all the cured meats made by the brothers, mortadella had always been their favourite. Still today, the descendants of the brothers remember their endless discussions about Veroni mortadella. It was like a political debate, with everyone expressing their contrasting views. At work and in everything else they did, they never stopped talking about mortadella. While the other cured meats were made in accordance with the usual, traditional Emilian methods, they would spend days on end arguing about mortadella. The women of the family were left exasperated by the non-stop “mortadella debate” among their brothers and husbands, and they did not try to hide it. Paolo wanted to add more salt, Francesco wanted more pistachios, Fiorentino more cooking time and Ugo more meat. 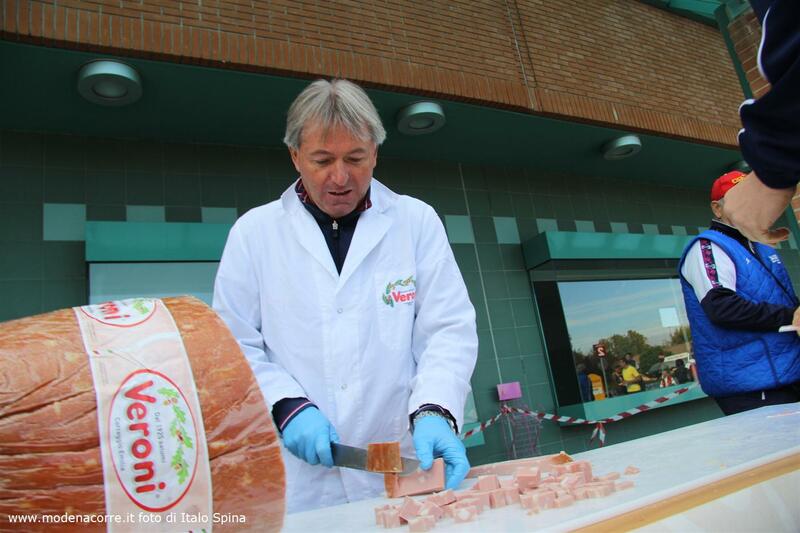 The days were filled with family, work, passion, and arguments about mortadella! The cold cuts business in general was growing and improving in every way, but barely a day went by without a discussion about mortadella. Even the first employees of Fratelli Veroni had been dragged into the debate. Mortadella had become everyone’s favourite topic of conversation. We do not know what inspired it, which of the brothers had the idea or how it happened, but one fine morning after an entire night of discussions and arguments, the brothers turned up with an announcement to make. Although they were exhausted, they were as wide-eyed and excited as children on Christmas morning and they proudly revealed that a new arrival was on its way in the Veroni dynasty: GIANT MORTADELLA. It was 1930 and a new story was beginning within the story. Everybody knew that the brothers would put their heart and soul into it and work day and night on the giant mortadella, which would present its fair share of problems. After all, they did not want the mortadella to be big; they wanted it to be GIANT. According to an old saying, “the bigger the mortadella is, the better it tastes.” They did not just want it to be big. They wanted it to be GIANT. 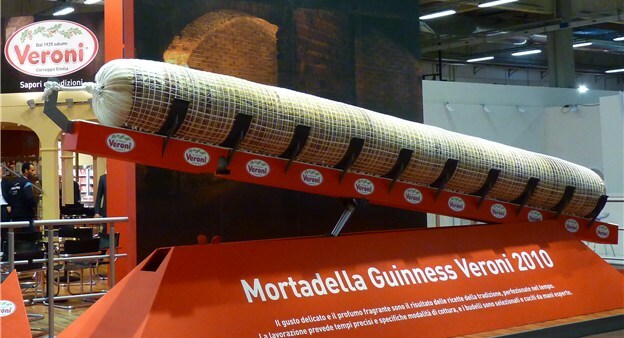 They wanted to make mortadella worthy of the name “giant” in terms of taste, quality, flavour and aroma. From the usual 12 kg and half a metre in length, they wanted to stretch to 2000 kg and 8 metres. There were plenty of hiccups along the way, but the brothers were devoted to their task. Dovete sapere che per fare buona una mortadella sono molteplici i fattori. Lots of factors contribute to the making of a good mortadella. Only the finest ingredients must be used and it must be cooked evenly throughout for no fewer than three days. It must not break and there must not be any parts left uncooked inside. You can imagine how many times something went wrong. Often, the mortadella was burnt on the outside and still raw on the inside. Lots broke when they were being moved and just as many fell because they were not properly secured. 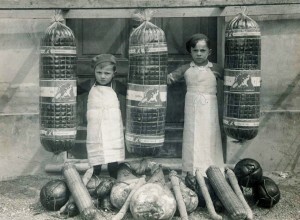 The Veroni brothers invented new machines to cook the 8 metres of mortadella properly and others still to put the meat in the casing and tie it. All the while, there were lively discussions between them, as was only natural for these typical inhabitants of Correggio. Day after day and night after night, the dynamic capabilities of the brothers shone through and led to the creation of the VERONI GIANT MORTADELLA that we know today. It is still the pride and joy of the Veroni family. They have every right to be proud because the brothers achieved their goal of making it not only giant but also delicious. It was a huge, overwhelming success, not just because of the enormous size but also because of the heady, delightful aroma of the culinary masterpiece that has made Fratelli Veroni stand out from the crowd ever since. Still today in 2014, the story goes on and history is being repeated. 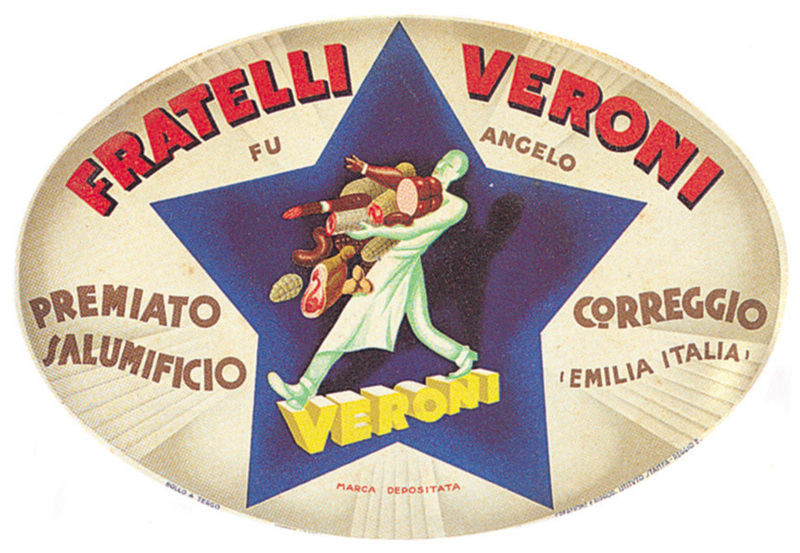 Still today, the Veroni family runs the company now known as Fratelli Veroni fu Angelo SpA. Still today, as if by magic it is possible to find the same feelings, the same arguments, the same exasperated wives, the same heartfelt generosity and the same values from the local land and people in Francesco, Guido, Marco and Stefano Veroni, who offer their innate Quality, Taste and Respect. The world is evolving, relentless modernization is taking place, and everything and everyone is becoming more technological, but family values and the “flavour” of life remain unchanged. 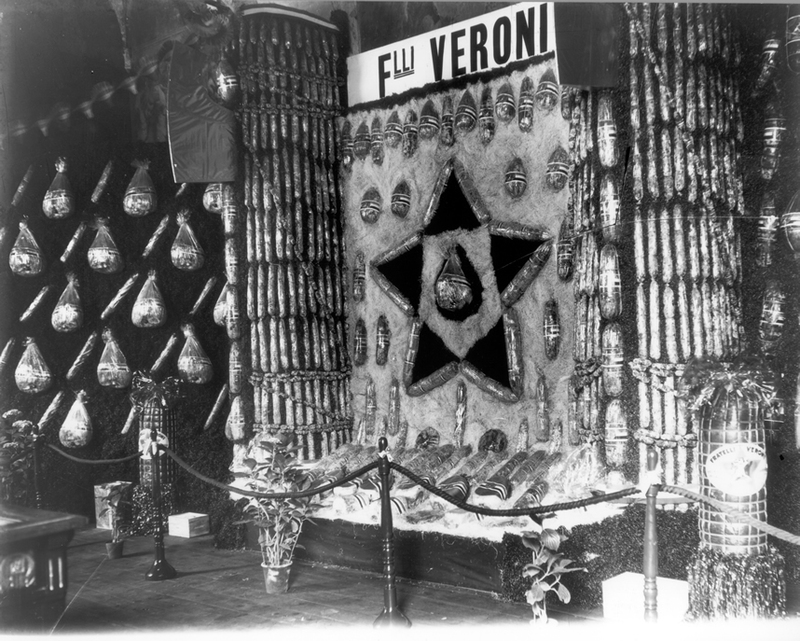 The Veroni Logo in 1935. 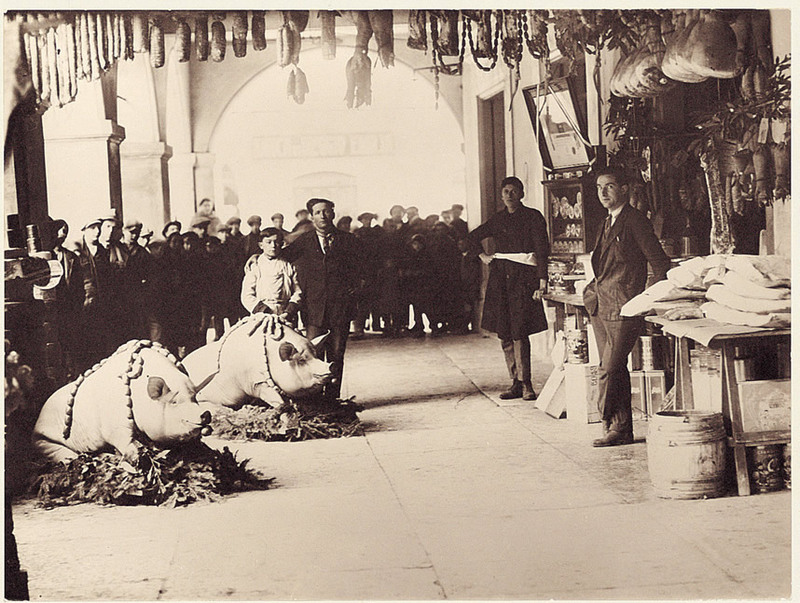 Exhibition of Veroni salami in 1935. The historical shop in 1923, two years before the five brothers decided to produce charcuterie. 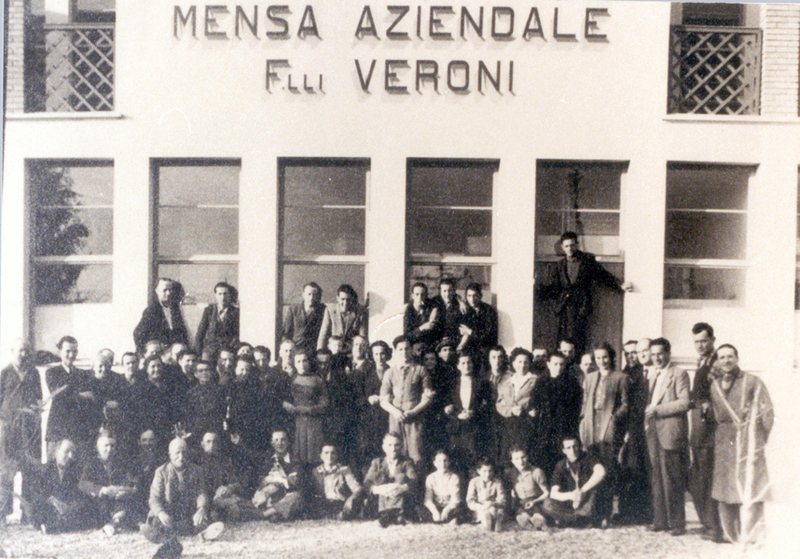 The Veroni family in the heart Correggio during the postwar period. 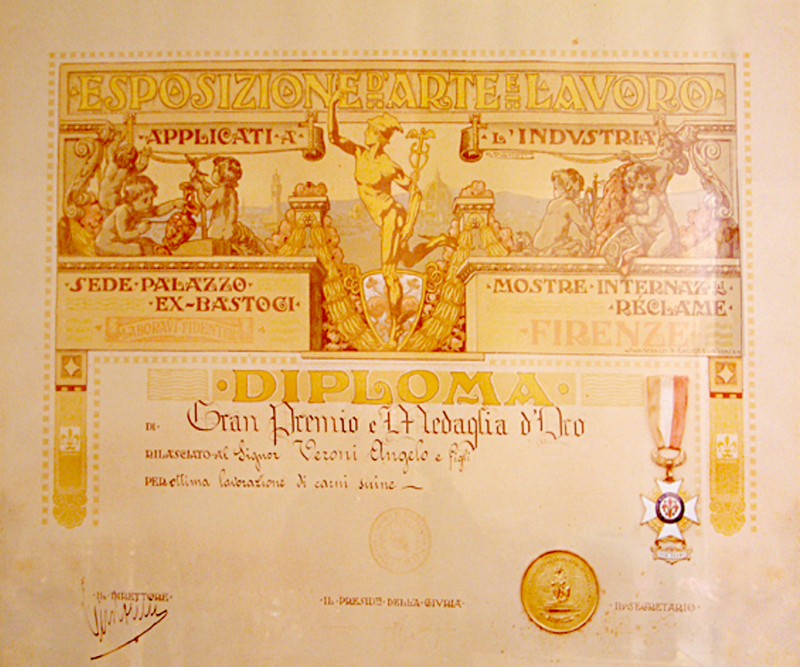 “Premio Medaglia d’oro” (Gold metal award) for the excellent production of charcuterie (1927). 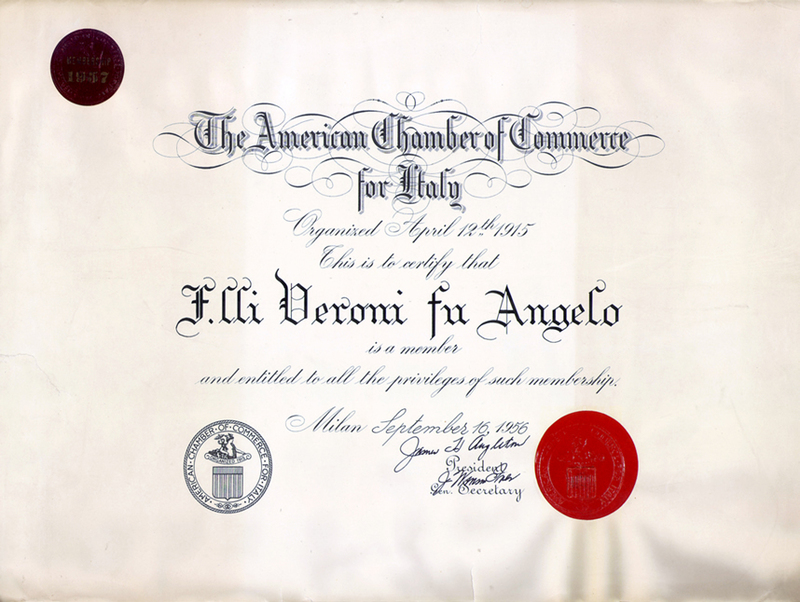 The American Chamber of Commerce’s certificate (1956). 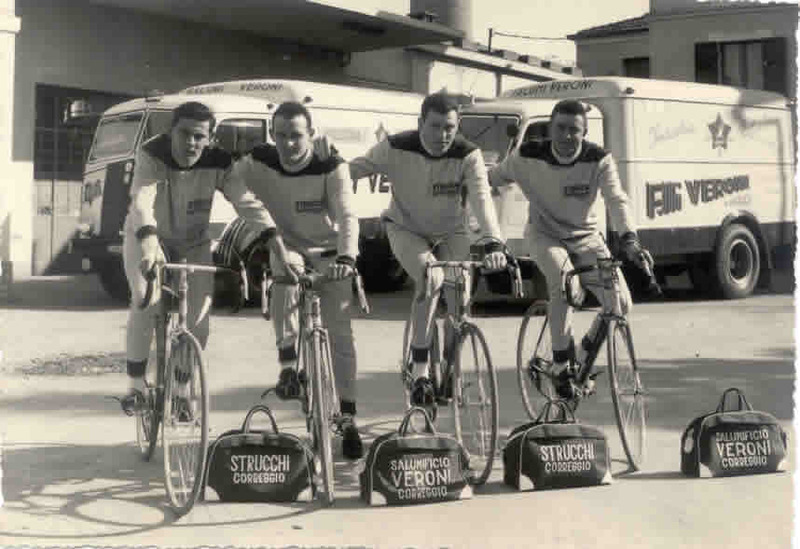 Members of “Strucchi” cyclists, sponsored by Veroni. 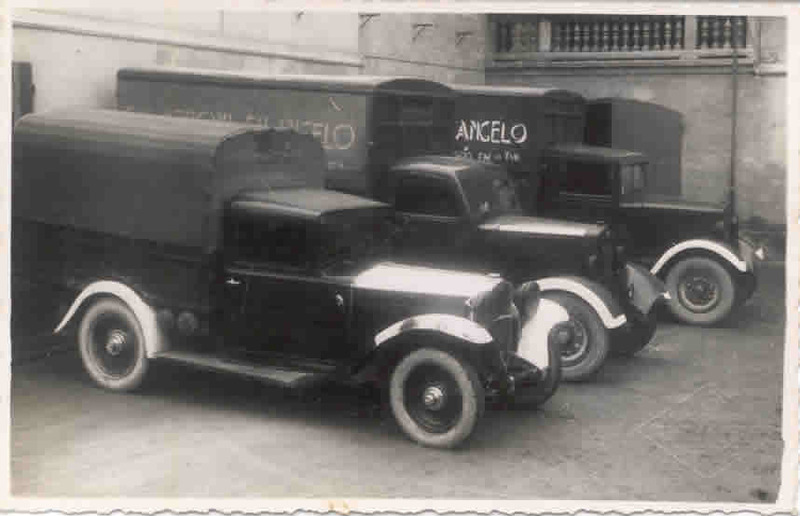 Veroni’s vehicles in the late 1920’s: at that time the company was one of the few Italian companies to have owned trucks. The inauguration of a new corporate truck in the mid-40s.